Global stocks edged higher while Treasuries slipped following remarks from both China and the US that progress was being made in trade talks. The March NFP (non-farm payroll) number came out stronger, with 196 000 jobs added versus 177 000 expected, commented TreasuryONE, while the jobless rate holds at 3.8%. The February number was also adjusted upwards from 20 000 to 33 000, TreasuryONE noted. The rand is trading slightly stronger, testing the R14.03/$ mark. The dollar held steady hours before Friday’s report on the American job market. US equity-index contracts advanced alongside Chinese stock futures after a report that President Xi Jinping said substantial progress had been made on the text for a trade deal. The Stoxx Europe 600 Index fluctuated while trading volumes throughout Asia were muted, with cash markets in China and Hong Kong shut for a holiday. Treasuries fell, with the yield on 10-year notes reaching a two-week high, and most euro-zone bonds also slipped. The pound pared an advance after news emerged that UK Prime Minister Theresa May asked the EU to delay Brexit to June 30.Xi is pushing for a rapid conclusion to the negotiations with the US, while President Donald Trump on Thursday talked up prospects for a “monumental” agreement that may still be some weeks away. The improved tone in the talks has helped drive the recent rally in equities, with the MSCI All Country World Index touching a six-month high this week. Next up for investors is the U.S. jobs report, which is forecast to show an acceleration in employment gains after a weak February. With traders betting that the next Federal Reserve move will be to lower interest rates, not raise them, the fixed-income market could be affected by any signs of wage strength in today’s report. Elsewhere, West Texas crude drifted around $62 a barrel, still preserving its fifth straight weekly advance. Steinhoff announced on Friday that it would delay the publication of its audited financial statements due to the complexity of the accounting and audit work required. The embattled retailer had hoped to published its delayed group financial statements for 2017 and 2018 in mid-April.These statements were put on hold while PwC conducted a 14-month forensic audit of the group. PwC sent its 3000-page report to Steinhoff leadership on March 15. The multinational had hoped that its external auditors, Deloitte, would be able to incorporate the findings of the PwC report into group finances by mid-April. Peregrine Treasury Solutions's Bianca Botes said in a morning note to clients that the rand may test R14/$ today. By 10:06, the rand was changing hands at R14.09 to the greenback. "The rand remains fairly flat, with little to drive movement to either side. A test of the R14.12/$ level for a sustainable break remains on the cards, which would open the door to the important R14.00 mark. 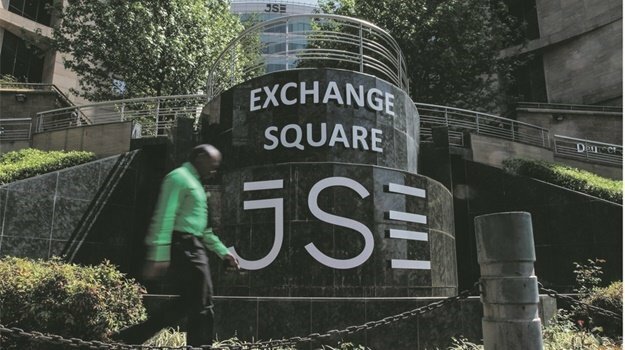 "Geopolitical events are taking a back seat at present with activities having only a marginal effect on the movement of the rand following its strong retracement on the back of Moody’s statement. "Today is a slow day on the data front with the only significant statistics being jobless claims from the US." Japanese shares and US equity futures edged up alongside Treasury yields following remarks out of both China and the U.S. that progress is being made in trade talks. The dollar was little changed ahead of Friday’s report on the American job market. Asian trading volumes were muted, with China and Hong Kong shut for a holiday. European futures were little changed. Japan’s Topix closed at a one-month high, while Australian stocks dropped. Futures on the S&P 500 Index hit session highs after China reported President Xi Jinping said substantial progress had been made on the text for a trade deal. China stock futures also rose. Ten-year Treasury yields reached a two-week high. West Texas crude is trading around $62 a barrel, heading for a fifth straight weekly advance. Xi is pushing for a rapid conclusion to the negotiations with the U.S., while President Donald Trump on Thursday talked up prospects for a “monumental” agreement that may still be some weeks away. The improved tone in the talks has helped drive the recent rally in equities, with the MSCI All Country World Index touching a six-month high this week. Elsewhere, Bitcoin remained under $5 000 after a dip following its 28% two-day surge earlier in the week. The pound edged higher as traders await fresh developments on the Brexit front.